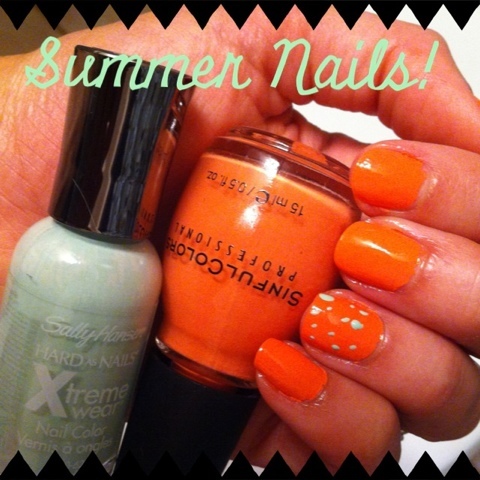 First Day of My Life: Summer Nails! In personal the color is more of a light coral mixed with peach than the deep coral you see here! I tend to wear nail polish based on my mood - last night I was in a mood to go to the beach, hence my nails! Do you wear your nail polish based on your mood or just to match your outfit? So pretty! I don't get to do my nails much, but when I do it's definitely based on my mood.